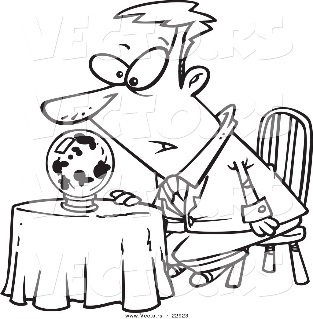 Where do you keep your crystal ball? 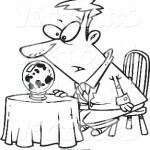 Technology has changed so rapidly over several decades it would certainly be useful to have a crystal ball or personal psychic to predict what is going to happen. Without either of those things, it is always going to be an educated guess to predict next steps. Educated is the key word and to be educated you need to do your homework. Robert Plant an associate professor of computer information systems wrote for the HBR Blog Network with strategies onhow to make the best of the “psychic” role and do a better job of seeing the future. Choose your divining rod carefully. Well you also be clever where you look for the water source! White papers offered for free by vendors and research firms are probably heavily disguised advertisements with the crunch part missing. That is why they are free. Academic research is usually written for other academics and the level of detail is not for the uninitiated, which means significant work to achieve a coherent vision of the future. Think carefully before crossing anyone’s palm with silver. Consultants will gladly sign on as a CIO’s personal psychic, but becoming a true believer is a risky strategy. It’s natural for advisers to hedge rather than deliver bad news or make specific predictions that may not come to pass. After all, advisers, like psychics, are primarily focused on maintaining the relationship. That’s why so many advisers prefer to make generic statements that are open to interpretation. Rather, CIOs should consider creating a think tank within their organisation varying the participants who should be encouraged to go to non-traditional conferences, listen to webcasts, and develop position papers. A CIO should do his own reading, generate his own thoughts on what is important, and create his own vision of the future. Make the time to read and do research. One CIO created a “device-free” half hour each day where he ignored all communication so he could read and think. Another hired an assistant just to handle emails. Used together they provide a comprehensive view of the customer that can be used to create highly personalized and predictive marketing and sales approaches. So the tools to be psychic can already be in-house. The trick for the CIO is identifying the tools, integrating the tools and consolidating the information being gathered. Rather than be a psychic keep an open mind and be a forward thinker.